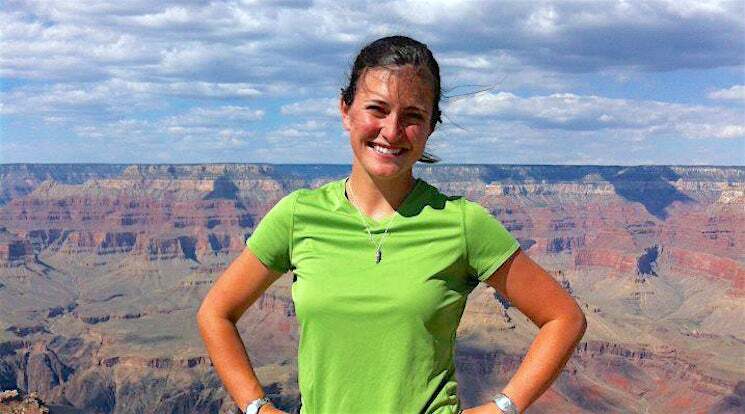 The American Geosciences Institute (AGI) has selected ASU’s School of Earth and Space Exploration Ph.D. candidate Mary Schultz for the prestigious 2017-2018 William L. Fisher Congressional Geoscience Fellowship. Schultz will begin her Fellowship in Washington, D.C. in September after earning her Ph.D. in geological sciences from the School of Earth and Space Exploration (SESE) later this month. Schultz's doctoral research focuses on understanding the past 20-million-year climatic and tectonic evolution of the Mount Everest region in the central Himalayan Mountains using a combination of fieldwork, thermochronological dating of minerals, and numerical modeling methods. With an avid passion for public engagement and teaching, Schultz has participated in various science outreach events offered at ASU and recently embraced the opportunity to co-teach an introductory geology course for high school students in the Phoenix area. According to AGI Executive Director Allyson Anderson Book, Schultz's application stood out in a field of exceptional candidates: "Beyond her demonstrated scientific expertise, Mary showed a genuine concern for American workers who are navigating an unfamiliar energy landscape. Her brand of compassionate, societally-relevant science is the foundation of good policy-making." The William L. Fisher Congressional Geoscience Fellowship offers geoscientists the unique opportunity to spend 12 months in Washington, D.C., working as a staff member in the office of a member of Congress or with a congressional committee. Every year, the AGI Fellow joins more than two dozen other scientists and engineers for an intensive orientation program on the legislative and executive branches, organized by the American Association for the Advancement of Science (AAAS), which also guides the placement process and provides educational and collegial programs throughout the year.